Fermented foods play a definitive role in our menu in Copenhagen. Fermentation is a way of thinking about the possibilities of ingredients, and the approach we use at Noma can be applied all over the world. Using Noma’s lens, we have applied our methods of fermentation to the ingredients of Japan and Australia – Noma Mexico will certainly be no different. Fermentation is a significant element of food culture in Mexico, but the traditional processes that we have encountered are very different to our own. It’s thrilling to take the same ingredients used in traditional Mexican cooking and transform them into something novel. 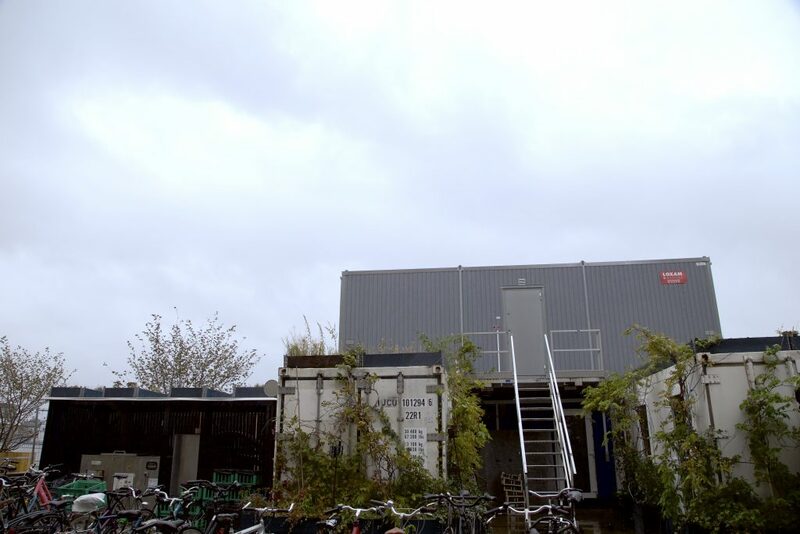 There is an explosion of possibility when we apply our processes to the ingredients of a new culture and landscape. We will be treating many of the ingredients in Mexico the same way we do here in Copenhagen. 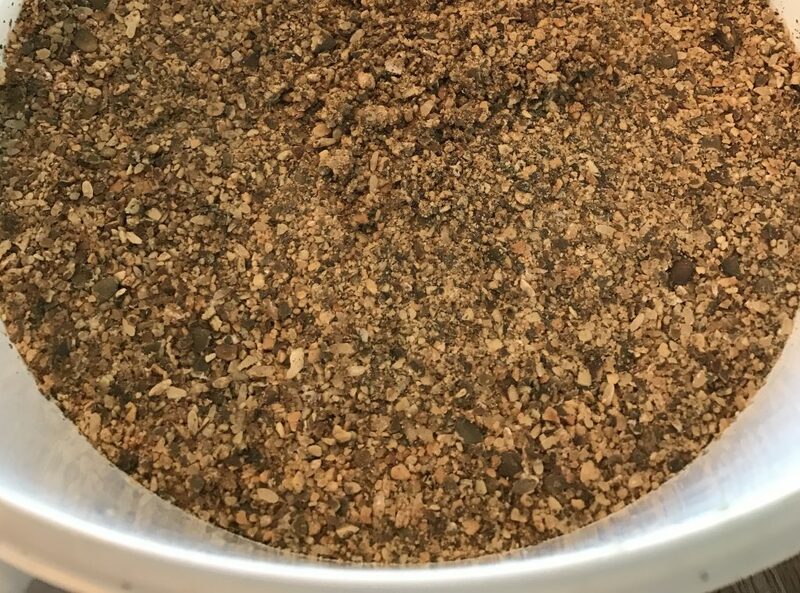 For example, we use koji, a fungus traditionally used to ferment rice and soybeans when making soy sauce and miso, to create many of our own unique ferments such as peaso (a miso made from yellow peas instead of soybeans). We drew inspiration from a process steeped in Japanese history and used it to transform a very Danish ingredient, peas, into something completely new. 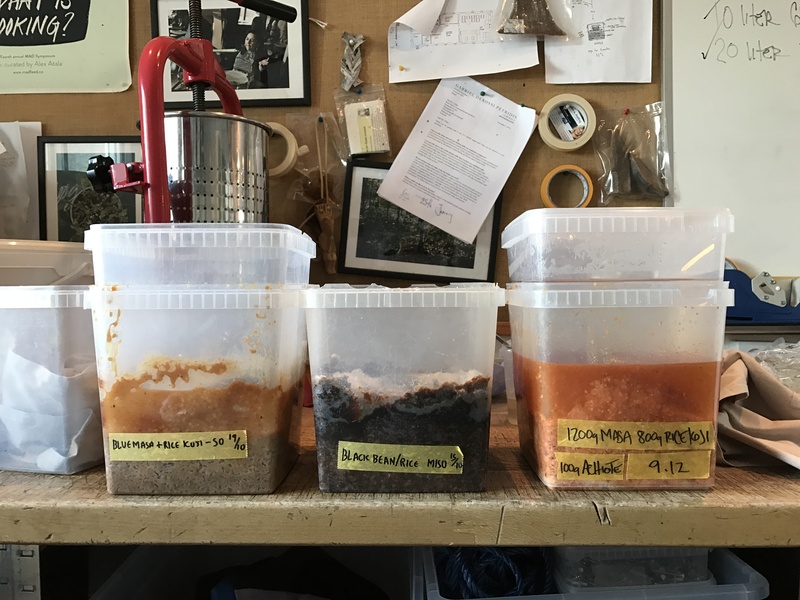 Similarly, we will grow koji on Mexican rice to transform some of the raw ingredients we discovered in Mexico to create new ferments; a pantry of flavors specific to Noma Mexico. This is what we truly love the most about fermentation; the ablity to create genuine moments of surprise, as you taste things you’ve never tasted before. The possibilities are endless in terms of how these ferments could be used on our menu: sauces, marinades, soups, even ice creams. 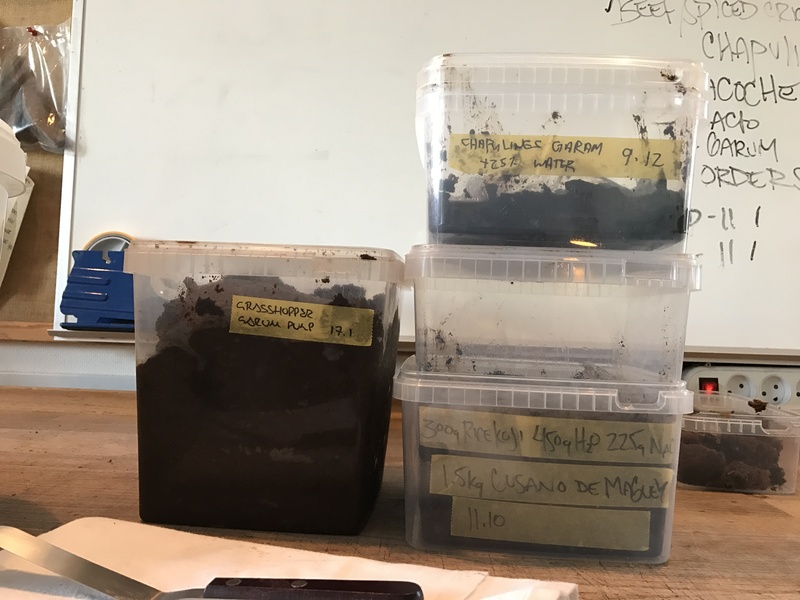 We still don’t know exactly how they’ll come to life, or even if they’ll all fit in, but we’re just too excited to not share a small peek into the fermentations of Noma Mexico. 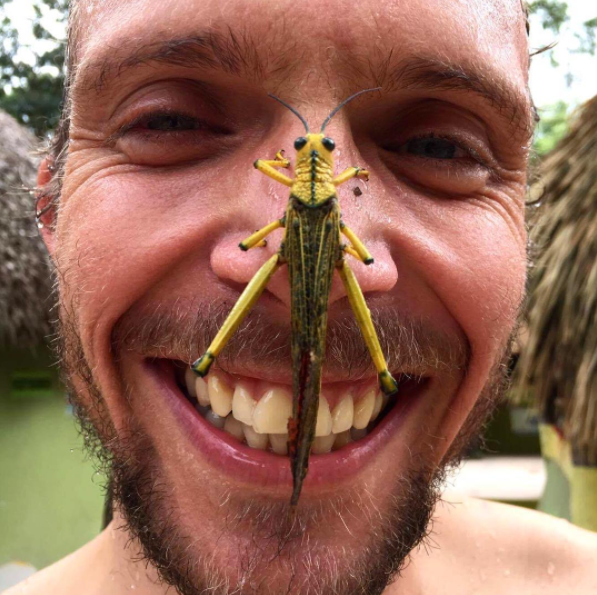 These chapulines are the same type of grasshopper as the giant one that landed on Thomas’s nose. 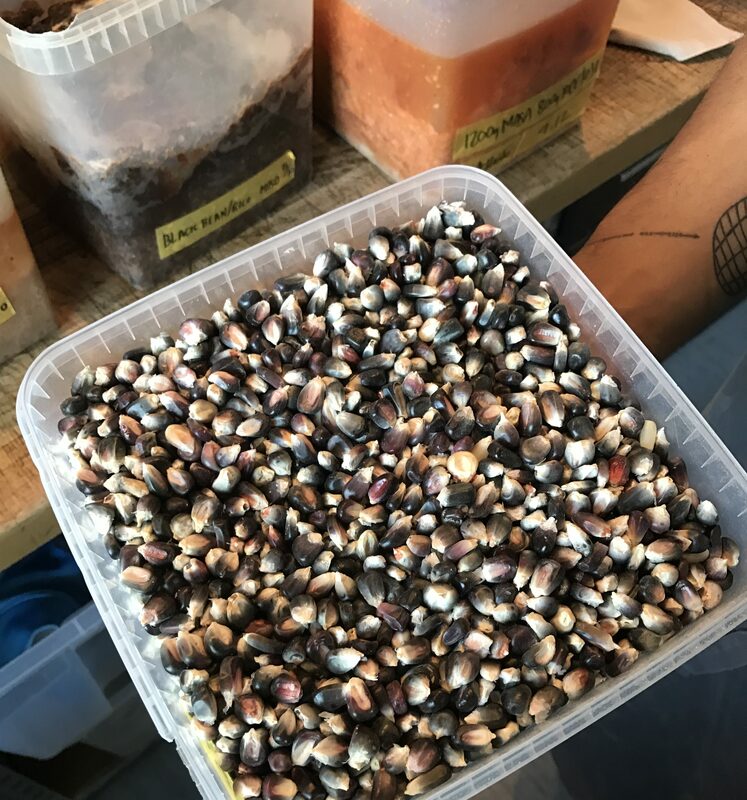 Pictured here, you see them as they are when we buy them from the market in Oaxaca: boiled, then pan roasted with garlic, chili and lime. They’re crunchy, a bit picante from the chili and delicious straight from the bowl. We prepare these Mexican grasshoppers exactly the same way as the Danish ones that we use to make our grasshopper garum. They are blended with rice koji, then placed in the heat to slowly breakdown with the enzymes produced by the koji. The enzymes snip the proteins into delicious free amino acids for a mouth-smacking and moreish flavor. 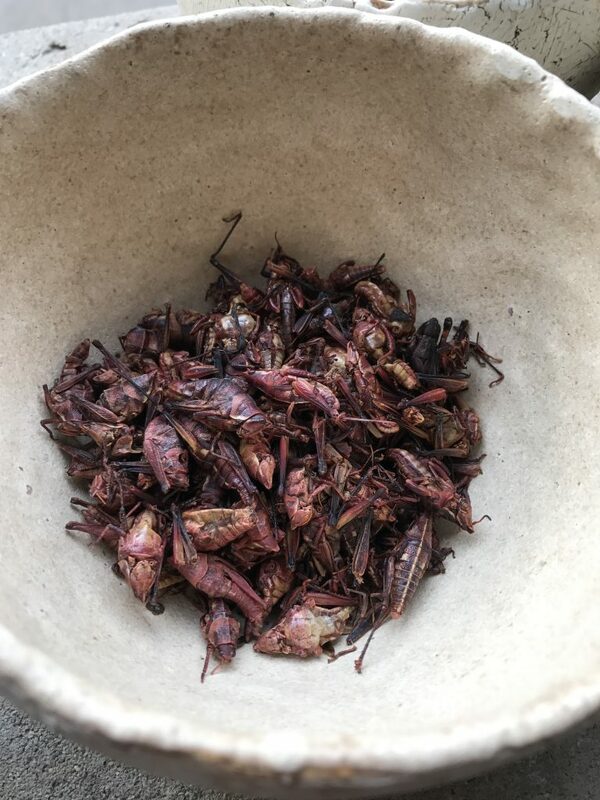 The fermented chapulines turn into a dark, rich paste; savory and complex, pleasantly salty like soy sauce and still retains the heat of the chilies. 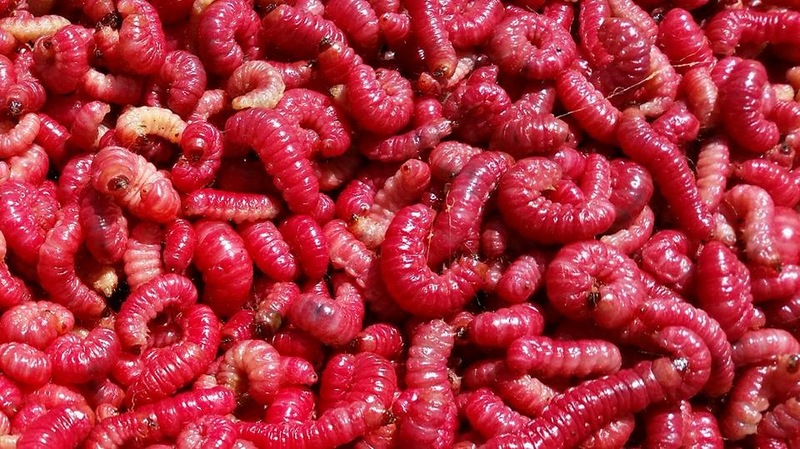 These red worms, or gusano de maguey, pictured here vivid red when fresh, and a warm orange once baked. Slightly fatty and sweet, the worms have a rounded taste reminiscent of roasted Jerusalem artichokes. 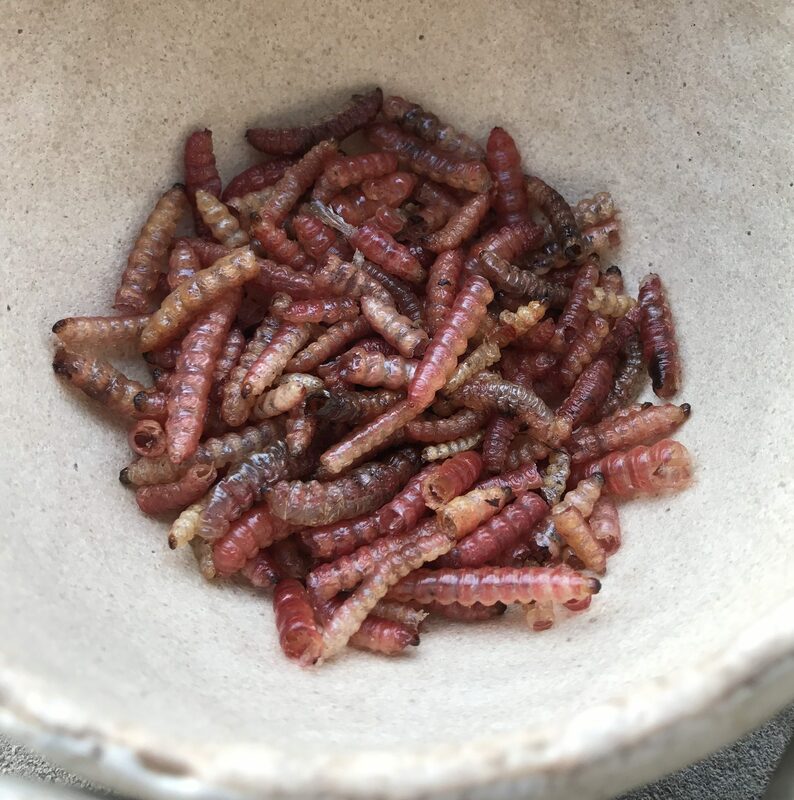 We process the baked guasano de maguey the same way we do the chapulines. The result is similar in appearance, though slightly lighter in color and texture. Its smell draws the mind to Mexico with notes of chocolate and molé. Here we see the beautiful gem-like kernels of Mexican blue corn. First we make masa out of the dried kernels by cooking and soaking them with lime (calcium hydroxide, not the citrus) and grinding them. We mix the masa with rice koji and salt and allow it to ferment for a couple months. The result is an incredibly fragrant, tropically fruity, sweet and delicious soft mash. We’ve made spin-offs of the fermented masa with achiote, cocoa and cascara, each with its own character. The black bean miso is perhaps the subtlest of our Mexican ferments; soft and satisfying from the beans with a light sweetness from the koji. Our Pepita miso, made of heavily roasted pumpkin seeds mixed with koji, is toasty, with a nice bite and mild fermented flavor. We of course are experimenting in other ways besides rice koji fermentations. One “rabbit out of a hat” as the head of our fermentation bunker, David Zilber, humbly puts it, is habanero vinegar. A puree of habaneros and vinegar is distilled and ends up as an incredibly delicious and delicate vinegar that smells peppery and floral and tastes green and fresh with none of the heat. For a look at this process, check out the video clip on our Instagram: @nomacph!